Electronic Voice Phenomena EVP & Paranormal Investigations. - EVP Information. We are now going to look at EVP recordings. If you go onto google you will find thousands of EVP recordings to listen too, however, how do we actually know they are genuine?. Simple answer is we don't. I am not saying they are fake and I would never point a finger, they are just impossible to authenticate as genuine. And that is the problem. I have no doubt, I have already written that EVP does exist, it's the source of the sound or voice that is in question. In the 1990's as a working musician I used radio transmitters for my guitars which were then linked into effects units and then to a large combo amplifier which had a microphone in front of the speaker which passed the audio into either a mixing desk or a Porta Studio recorder. On more than a dozen occasions I found taxi's, baby alarms and other wireless microphones, sometimes from miles away, leaking sound into the transmitter and then to the amp which was then heard and often recorded. Most of this 'cross talk' I could hear whilst playing but there were a few occasions when it was so distant that it could hardly be heard at all. This could give the impression, if you were so minded, that the voice was a 'ghost'. However, a careful listen and the chatter was recognised as 'pick up at 37 Long Lane a Mrs Smith' . That was enough evidence that it was in fact a taxi and not a voice from the grave. Baby alarms can sound very strange through an amp and enough to confuse anyone as to their source. With EVP you really need an open mind and always look at other possible causes. Later when I moved away from large combo amps to amp simulators, which don't use microphones, these go direct into recorders plus guitar radio transmitters have moved onto different frequency bands, saw the end of the baby alarm and taxi cross talk. However, I still get unknown sounds and voices in my recordings which I can't explain, the reason I am here with my interest of EVP. When I decided to start this EVP project I knew I needed an open mind. Armed with the right equipment and my sound skills and knowledge, I knew that if there was anything to record I would record it and the only EVP recordings that interest me are those I have done myself. I simply can't take the chance of importing even one suspect EVP recording otherwise my whole collection becomes corrupt and all my work is wasted and no longer credible. You live and die by your reputation and have every intention of keeping mine. Many Investigators prefer to hear raw EVP recordings without any form of editing or enhancement and frown upon those who do. I can understand the concerns with that advice. But I see no reason why the raw as well as the enhanced sound file can not be evaluated. If the sound you think is a voice is totally covered in noise, then looking at noise removal has to be a sensible step to consider. 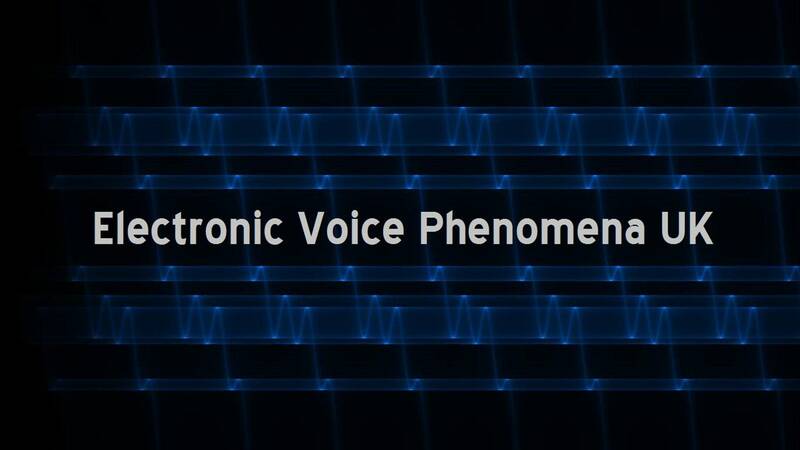 EVP's (Electronic Voice Phenomena) come in a wide range of styles. Some EVPs are loud and clear, while others are much softer and need headphones or amplification to hear. And still others are either low, garbled or otherwise unclear. While there could be many reasons why EVPs come in such a wide variety of styles (see our article on How EVPs Are Formed), to better help describe the characteristics of an EVP paranormal investigators and researchers often use a classification system to rate the quality of an original and unedited EVP recording. Class A - This type of EVP is loud, clear and of very high quality. The voice is easily understandable and does not need enhancement or amplification. Class A EVPs are also often (but not always) in direct response to a question being asked. Class B - This is the most common type of EVP. This type of EVP is of somewhat lower quality and clarity than a Class A EVP but still very audible. Class B EVPs often do need some amount of enhancement or amplification to be heard clearer. The voice may not be clear enough to be totally understood or there may be disagreement as to what it is saying. Class B - EVPs are often not in direct response to a question. Class C - This is the lowest quality EVP. With a Class C EVP even the best enhancement and amplification may not be sufficient to make the voice audible or clear. There may even be debate whether or not an EVP is actually present. Some Investigators go further but that can get complicated and the above three classification does work and has a scientific approach.